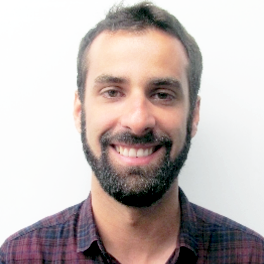 He also worked as a production coordinator at TV Globo, as a science news reporter at VEJA, and as an innovation, transparency and technology officer at the Social Development Office in the government of São Paulo. Marco holds a Bachelor’s Dregree in Journalism from Universidade Federal de Minas Gerais, and he also studied Electrical Engineering at the Universidade Católica de Minas Gerais; Computer Science, Management for Social Impact and Information Visualization at the University of Michigan and Georgetown University. Today he supports publishers, journalists and media entrepreneurs in Brazil and Latin America with the best Google can offer so that they can build the future of media and tell the best stories of our time.